Love it! Arlington? If so, it is a truly amazing place! Yes, Arlington! It is an amazing place! I really want to make a return trip there! Ive been twice. When i was teaching o had the priviledge of getting to place a wreath at the Tomb of the Unkown! Truly moving! While we were there there was a Honor Flight group visiting…it was quite moving! 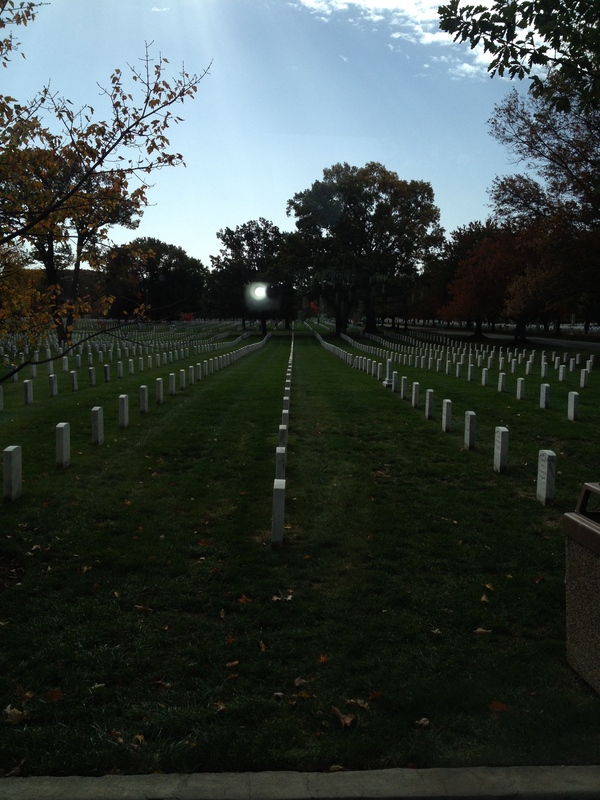 Great picture—Arlington is very inspiring, humbling and emotional all rolled up into one big ball, isn’t it? It truly is! From the Eternal Flame at Pres. Kennedy’s grave to the Tomb of the Unknown Soldier to all of the graves… the place is a must go to destination.